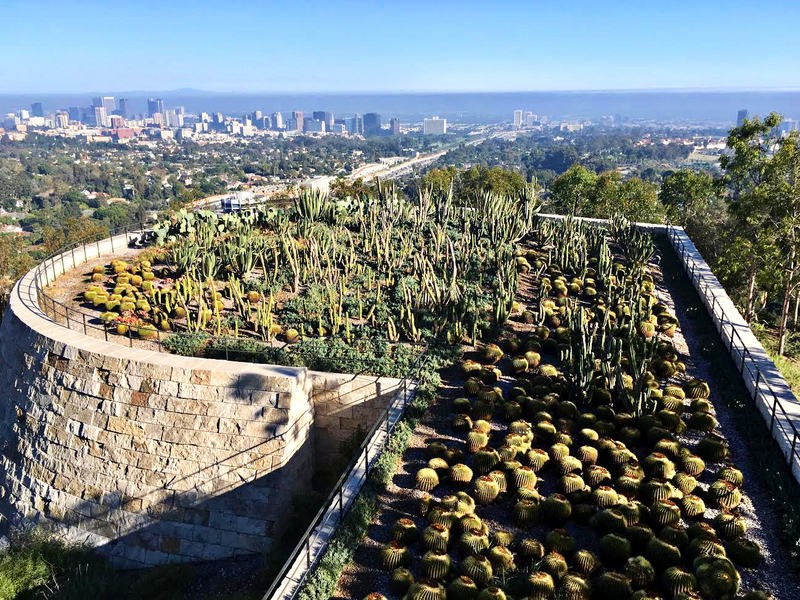 i'm sharing: A photograph from one of the Getty terraces looking down at the Cactus Garden located on the top of walls that look like a medieval fortification. this was inspired by: A medieval fortification from France, my native country, combined with desert plants organized as le Notre gardener could have! With a bonus of a spectacular view englobing Los Angeles and the Beach. to me, inspiration is: Looking at all these cross references and still having wonderful panoramic views from the Getty terraces. The Getty museum reminds me of Sunday promenades in France where, architecture, art, garden, food, and music all mingle together. The Getty is perched on a hill and feels like a temple of culture with its strong timeless architecture and evolving gardens.